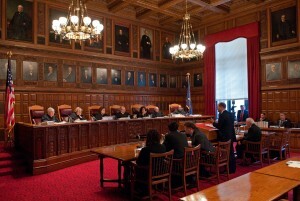 ALBANY — The highest court in New York has overturned the conviction of a woman who was charged with manslaughter after her unborn child died due to injuries sustained in a drug and alcohol-influenced accident, stating that the law doesn’t consider the unborn as people. In 2008, Jennifer Jorgensen, then eight months pregnant, crossed into oncoming traffic and struck another vehicle head-on, killing couple Robert and Mary Kelly and injuring herself. Doctors decided to perform a C-section to save Jorgensen’s baby, who showed signs of distress, but the child died six days later from his or her injuries. Prosecutors stated that Jorgensen was under the influence of prescription drugs and alcohol at the time of the accident, was speeding and was not wearing a seat belt. Therefore, they sought to hold her responsible for the fatal crash. 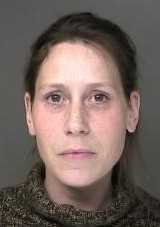 In 2009, she was indicted for aggravated vehicular homicide in the Kelly’s death, driving under the influence of drugs and alcohol, manslaughter in the second degree for the death of her unborn baby, and endangering the welfare of a child. The first trial resulted in a hung jury, and the second time Jorgensen was only found guilty of manslaughter and sentenced to three to nine years in prison pending appeal. She appealed the conviction, but the verdict was upheld. According to reports, Jorgensen’s attorneys argued that because the woman’s child was inside the womb when the injuries occurred, she could not be held responsible for killing a person. The court contended that lawmakers never sought to include the unborn in the language of the statute, and did not believe that the legislature would seek to criminalize women in cases where their actions accidentally result in the death of their unborn child. It said that had the baby not been alive at the time of the C-section, Jorgensen would never have been prosecuted. It said that the matter of criminal liability for pregnant women whose child is born alive but dies as a result of injuries sustained while still in the womb should be “clearly defined” by legislators rather than the courts. But Judge Eugene Fahey dissented, stating that the law indeed provides protections to Jorgensen’s infant. “Distilled to its essence, defendant’s contention, which the majority credits, is that because her allegedly reckless conduct did not occur while the baby was a person, that is, because the allegedly reckless conduct occurred before the baby was born alive, she cannot be convicted of a crime that requires her reckless actions to have caused the baby’s death,” Fahey said, expressing disagreement. “Based on those plain provisions of the Penal Law, I conclude that the baby was a person in the eyes of the Penal Law, that the mother can be held accountable under section 125.15 (1) for the baby’s death, and that the Appellate Division’s order should be affirmed,” he wrote.